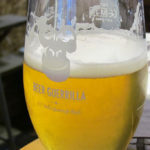 It is no understatement to say that deciding what to wear as the seasons shift from winter to spring can be a nightmare. With the constant, impending doom of snow looming over us in February, it seems the weather is capable of switching from bright and mild to wet and cold at the drop of a hat, and choosing the wrong pieces can have the cold shooting through you or the heat making you perspire. 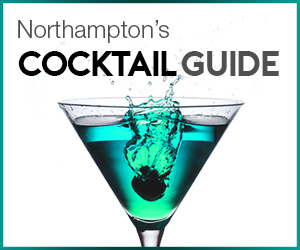 So to ensure you remain fashionable and functional, the Northampton Gent has highlighted the key transitional pieces needed in your wardrobe to help you handle this tumultuous period. 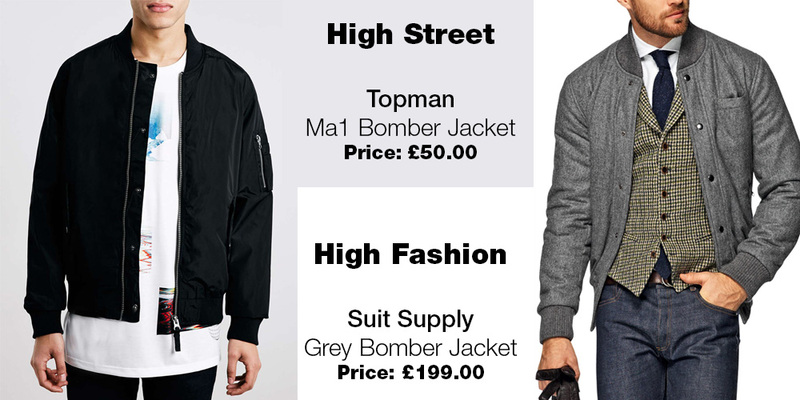 The bomber jacket has been around for many a year and its popularity seems to have no signs of abating. The bomber is perhaps the most versatile jacket a gent can own and come in any number of variations, from high-end to high street. Picking a reasonably lightweight bomber with a minimal design and neutral colour – navy blue, dark green, burgundy, grey – will increase its versatility. It works well in casual outfits – think print t-shirt, dark jeans and fresh white Stan Smiths – and just as easily fits into smarter ensembles, pairing well with a button down shirt, trousers and Oxford boots. For particularly cold days, you can also layer underneath with a sweatshirt and throw a scarf in. 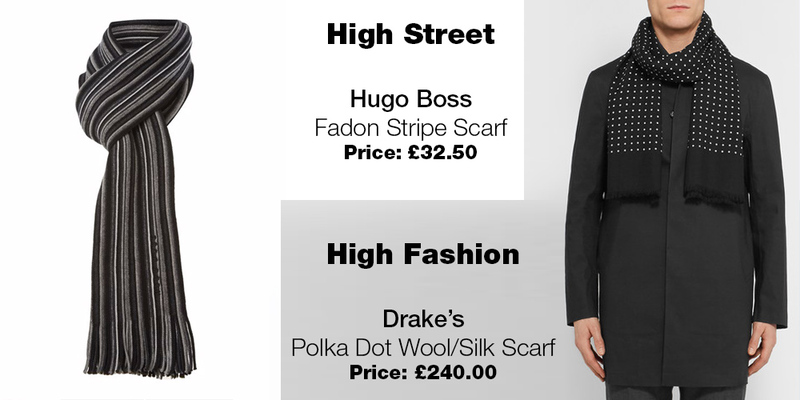 If you are more suited to bolder colours and designs, the smarter option should be avoided but the jacket can become a signature piece for the more street style look. Remember, let the bomber take centre stage in this scenario and keep the rest of the outfit muted to accentuate the jacket. Chances are you have now relegated your overcoats to the back of the wardrobe or may never have brought them forward this winter. As the milder months come forward, now is the time for lightweight trench; especially if you are sporting a smarter style. Now when it comes to your trench coat, we can only recommend investing wisely. Chances are this will become one of those pieces you will hold onto for years to come, so investing in high quality that can stand the test of time is important. 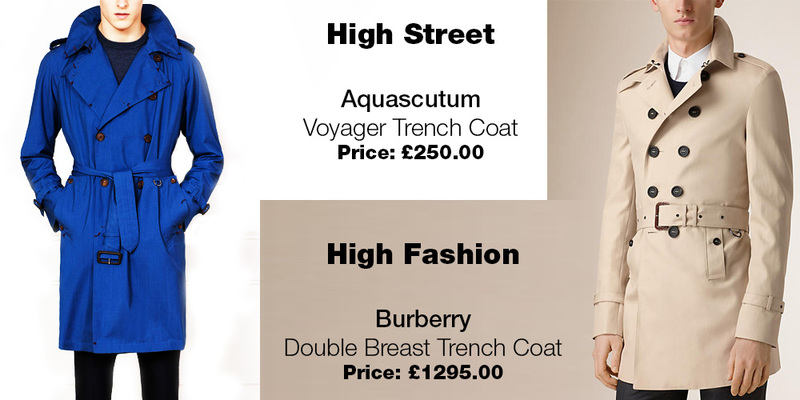 For those unable or unable to spend over £1000 on a Burberry trench, we would suggest browsing Northamptonshire based Aquascutum, where prices starting from £200 upwards but offering exquisite quality. The trench coat is particularly useful for those who are suited and booted, managing to offer cover when the rain starts to poor but light enough to ensure no overheating when the sun starts to shine. 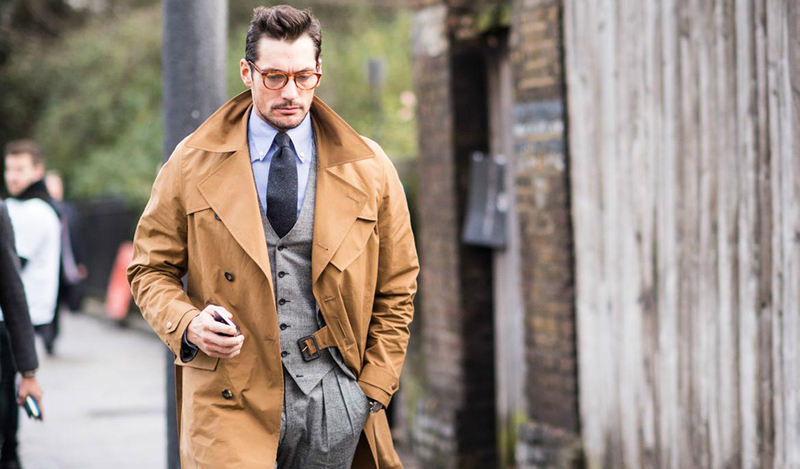 For shorter gents, look at more cropped styles to achieve a lengthening effect, whilst taller gents should opt for a longer trench that finishes just a few inches over the knee. When picking your colour, stick to the classic beige and camel, which are not going to be going out of style anytime soon. Bolder trench coat colours include lighter blues and dark reds, which, if paired correctly can work well and set you apart from the crowd but risk falling out of fashion. Considering we are nation for grey skies and the somewhat occasional shower, it is shocking that more gents do not invest properly in a decent brolly. Sure, that plastic, red and black ladybird number you found in the boot may do the job of keeping you dry, but sartorially it is lacking. The choices are pretty simple; compact or full size. 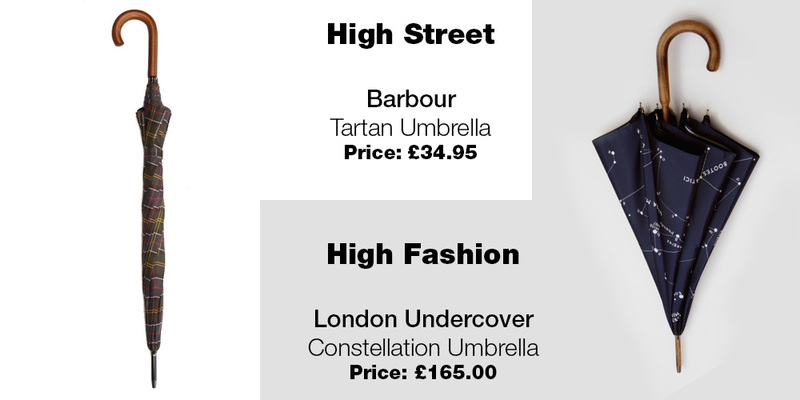 Our suggestion is to stop spending £5 on those awful compact umbrellas that snap like twigs in the wind and instead purchase a heavier duty, full sized umbrella that will see you more than one downpour. You can find out about what constitutes an umbrella worthy of a true gent by looking at our in-depth guide to umbrellas. Hate or love them, sweatshirts are in. Having become a casual essential over the winter, sweatshirts are yet another article of clothing that fits into the popular casual, street style. Sweatshirts do have the added bonus of being a perfect winter / spring transitional piece. 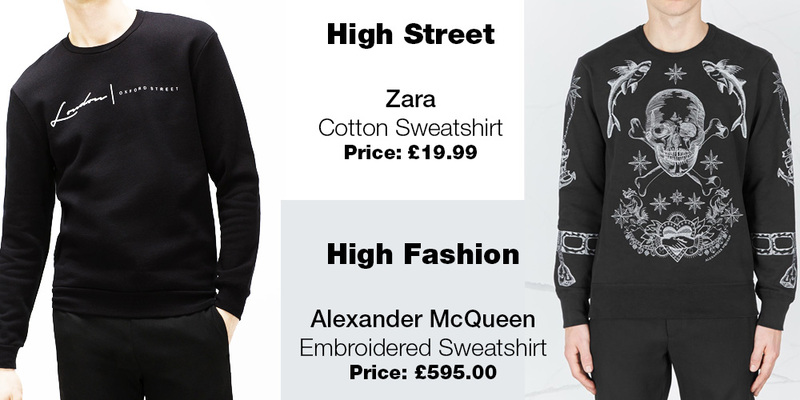 Fortunately gents are rather spoilt for choice and designs, as a number of brands are now creating luxury sweatshirt. With the warmer months in the horizon, investing in a lighter, cotton sweatshirt is advisable as opposed to thicker, knit versions. A lightweight version offers the perfect amount of coverage for the sunny, brisk days but can equally be covered with a jacket should the weather turn and temperature drop. Avoid prints if going for a smarter casual look and feel free to embrace the quirkier pieces and 90s influenced sport sweaters when fully embracing a street style outfit. A staple in any gents’ wardrobe, scarfs are to winter /spring what Sonny was to Cher (before the divorce). The scarf is a wonderful way to layer up quickly when the winter cold kicks in but still lightweight enough not to remove and not become burdensome should the sun begin to shine. There we have it gents, 5 key pieces to ensure you aren’t caught out this year. Feel there are any key pieces that we should have included? Let us know in the comments below.